The trend for the new year round the blogosphere is declaring one word as an intention or focus for 2015. I’ve seen this filtering around both my professional and personal social networks with lots of great words. For me, I have chosen a word at the start of the school year as my intention for the last three years. First, it was patience; passionate patience as I worked to help teachers grow. Second, it was courage; to step out of my own comfort zone and try new ideas as well as blaze a trail for those that might want to follow. Both of these words were great for centering my thoughts and helping me build strong habits of mind. 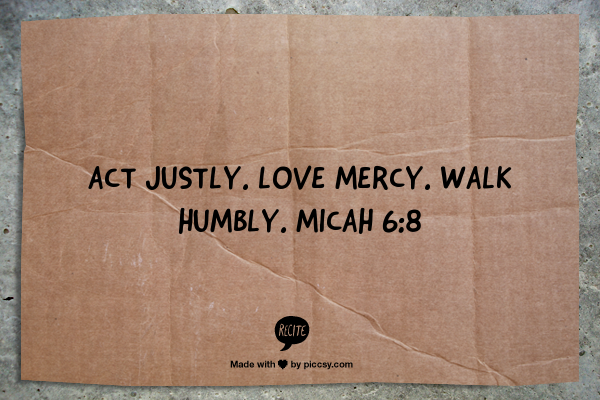 This year, my word is humility. After a summer study of the book of Micah and a life-long battle between arrogance and self-flagellation, I want to embrace the realization that I do not have all the answers. I recognize that my role as a teacher-leader is a fragile gift that needs tending and care. My favorite and most respected leaders have been ones with an internal sense of servant leadership; seeking not their own gain but the gain of others. The concept of humility also centers me to the point that I am just one piece of the larger community puzzle that works collectively to build up amazing children. This notion in and of itself is humbling. C.S. Lewis wrote, “true humility is not thinking less of yourself; it is thinking of yourself less.” (Mere Christianity) I find this to be a truly visionary statement and its place above my desk is a constant reminder for the year that my work is important yet it is part of a larger tribe of importance and my focus should be on others first. I hope that this intentional practice of humility will, like its predecessors of patience and courage, become a unconscious trait woven into my daily thoughts and work. Have you sent an intention for your new year or school year? Do you have a “one word?” Tweet me and let’s share! Next Post Swedish fish = algebra ?